Dean ‘Karnage’ Kearney once again lives up to his nickname. 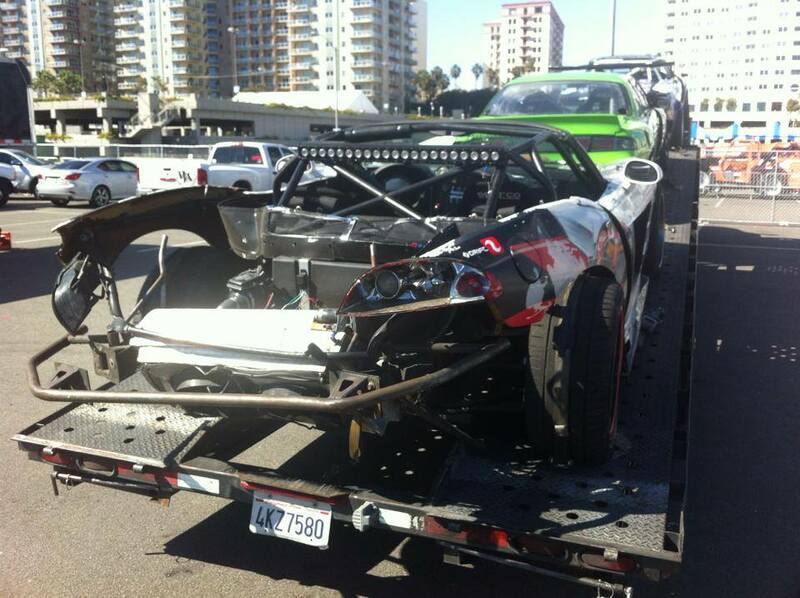 Moments ago he posted the following image on Facebook after hitting a wall in his Viper at today’s FD Media day in Long Beach. After some speculation after seeing Vaughn sporting numerous pieces of ECKO apparel over the last couple months this video was released today of some pre-season testing at Charlotte Motor Speedway where ECKO UNLTD and Vaughn Gittin Jr make their love affair official. Chris Forsberg drifts his RB powered 280z in this short video for Clarion USA.